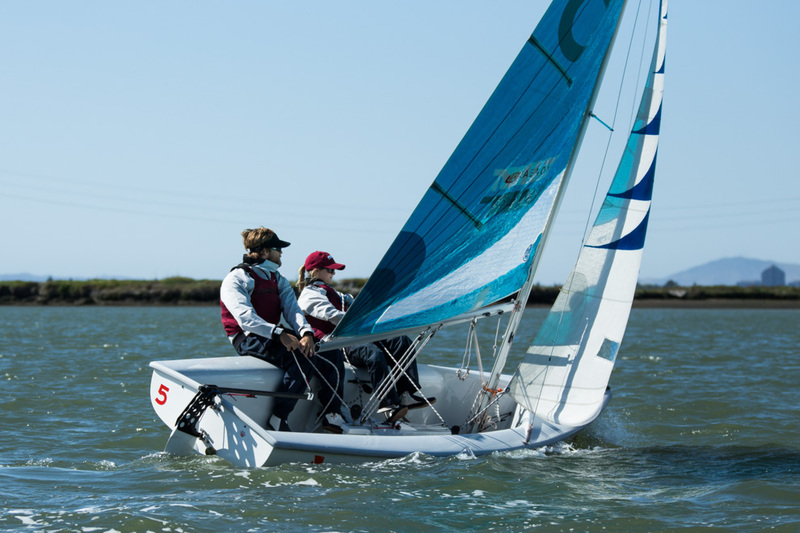 Stanford sailing achieved up-and-down results at home in Redwood City last weekend, dominating the Women’s Pacific Coast Championship but failing to qualify for the collegiate match racing nationals in two of its final events for the fall season. In the qualifier, sophomore Luke Muller and crews junior Daniel Ron and senior Sammy Steele fell to second despite winning 10 of their 12 head-to-head battles. The group dominated the regatta’s laggard finishers of Hawaii, UC Berkeley and USC by a 9-0 margin, but took just one of three against its final opponent, UC Santa Barbara. Gauchos skipper Chris Weis finished 8-1 in his other races, tying with the Cardinal in total wins but securing the overall victory based on his performance against Stanford when the two raced head-to-head. The result ended Stanford’s contention for one of the six national distinctions for which Cardinal sailors are likely to compete. However, Stanford will have the chance to make up for it next weekend when Muller, sophomore Hayley Fox and freshman Olivia Gugliemini participate in the men’s and women’s singlehanded nationals. The Women’s PCC’s went better, as four Cardinal boats ended in the top five through a series of impressive individual performances. Freshman skipper Maria El-Khazindar and sophomore crew Sarah Lucas won the title, riding victories in seven of the 15 races and narrowly topping teammates freshman skipper Martina Sly and crew Maggie Schult. Freshmen skipper Cassie Obel and crew Lauren Block succeeded in taking the final spot on the victory podium after a series of consistent finishes landed them in third. Sophomore skipper Elena VanDenberg and freshman crew Meg Gerli rounded out Stanford’s entrants with a steady fifth-place showing. VanDenberg and Gerli were virtually tied with Sly and Obel for much of the regatta, but a late charge by Santa Barbara’s Olivia Godfrey prevented an even stronger sweep by the Cardinal. Stanford was by far the most youthful team at this event, and the success by many young skippers across different competitions bodes quite well for the team going forward.